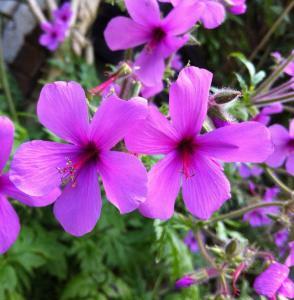 Geranium palmatum is a clump forming perennial with large , deeply divided, architectural palm like leaves. 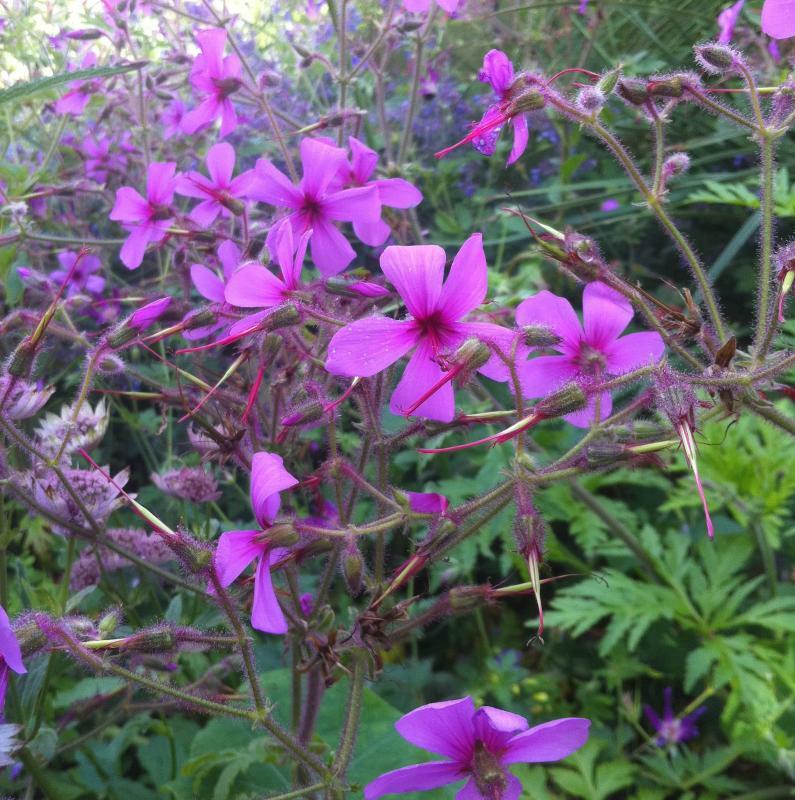 It bears luxurious, small magenta flowers on upright, wiry stems throughout June to September. 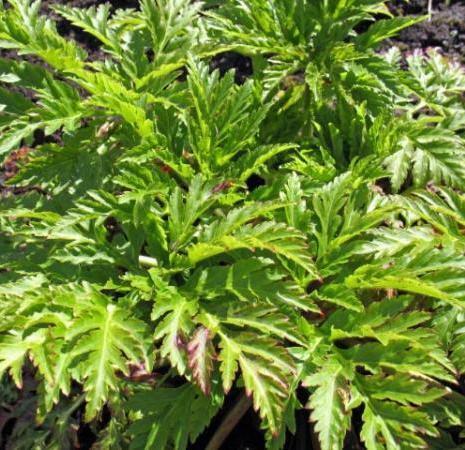 Prefers full sun in a humus rich, well drained soil in part shade. Hardy. Height 0.9m, spread 0.7m.